First Cut Lawn Services | Get A Free Quote! First Cut is a locally owned and operated company serving Fort Worth Texas and the surrounding areas. We pride ourselves on providing services that are a cut above the competition. The most rewarding part of our job is exceeding our customers expectations with service you will want to tell your friends and family about. We offer all of the residential and commercial lawn care services you need to keep your lawn and landscape looking great all season. From mowing, edging, line trimming & blowing your yard each week to fertilization and weed control services, our team will have your property looking great before you know it. Our lawn care services are a cut above the rest! We offer landscape maintenance services, fertilization and weed control, lawn mowing and other seasonal services. Our first priority is to provide our customers with the best lawn care service in the area. Our trusted staff wear uniforms and will arrive in a clearly marked company vehicles, so you never have to wonder who is on your property. 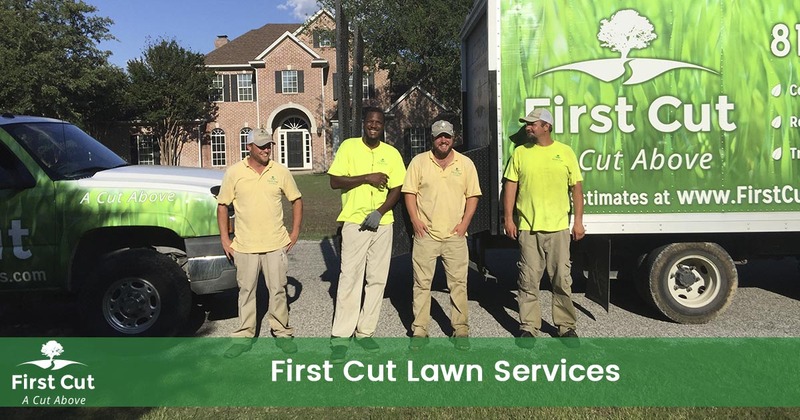 We only hire employees that are a cut above the rest, which means when you hire First Cut you are getting the best lawn service technicians that use the best materials and equipment. We are so confident you will be thrilled with our service we put our money where our mouth is. We want to care for your property for years to come. Our #1 concern is your COMPLETE SATISFACTION. If you are not completely satisfied with our service and we can’t make it right you pay nothing. It's that SIMPLE! Contact us today for your free quote. Call First Cut to get the quality lawn care services you need for your home or business at 817-349-0580. We offer a 100% satisfaction guarantee, so there is no risk in trying our services!